These window well ladders are optional aids to help when climbing out of our Premier window wells. They are not only functional, but give a beautiful ornamental touch to your window wells. The earth tone powder coating goes nicely with the natural stone look of our window wells. 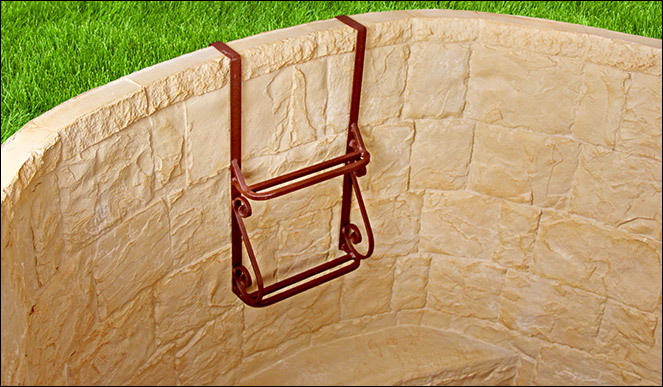 These window well ladders are decorative and durable to help someone climbing out of any egress basement window well. 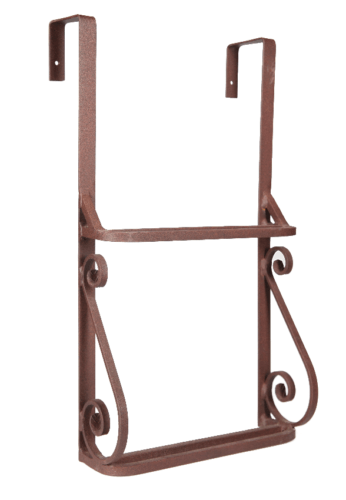 The ladders are powder coated with an earth tone color that will go well with your home's natural landscape. These ladders are intended for use with our premier series window wells only. Ladder dimensions are 24" high, 12" wide; rungs are 12" apart.